Every town has an unique restaurant where good food happens and locals seems to love. 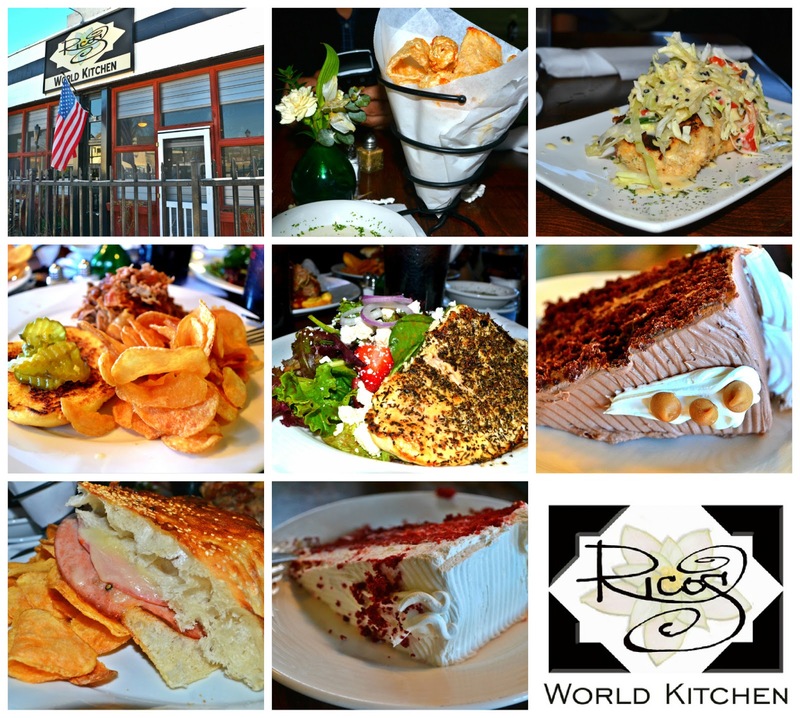 Rico’s World Kitchen, is a small eatery located in historic Buford that offers customers a taste of the world. Rico's menu is all about regional and global comfort cuisine. Their philosophy is that when you are invited into their "house" they will take charge of your happiness as long as you are under their roof. Rico's offer a gourmet and affordable dishes to it's customers. We went as a family and lucky for me I was able to taste every single plate on my table. For starters we ordered the chicharrones, deep fried pork skins with blackened seasoning, sea salt, white vinegar and fresh garlic. They were surprisingly light and airy and not heavy or super oily as the ones I used to eat in the Caribbean. The Pacific Rim Crabcake was made with lump meat crab, fresh ginger & garlic, scallions, sweet & spiced peppers, and topped with a carrot & cucumber slaw with black sesame & Asian pear dressing. This one I did not share with anyone because they were sooo good. I could eat them everyday for breakfast, lunch, and dinner. Rico's offer daily specials so we decided to ordered a traditional style muffuletta sandwich (without olives) for my son. A traditional style muffuletta consists of a muffuletta loaf split horizontally and covered with layers of olive tapenade and Italian hams like sopressata, mortadella, salami, ham, Swiss cheese and provolone. The portion was huge but hey you can always cut it half and take the rest home. This sandwich and the mojo pork sandwich (a menu favorite) both come with a side of homemade fried chips. On the lighter side, my daughter opted for the strawberry salad with herb crusted chicken, feta cheese and balsamic vinaigrette. The salad needed more strawberries but besides that minor hiccup it was perfect.